I’m a Journalism graduate who tried for years to get a job in that field before I finally gave up. I’ve been writing stories since I was a kid, even going so far as to make my own newsletter, so writing has always been a thing for me. I love to travel, go to rock concerts and sporting events, mostly by myself, although that isn’t my first choice. I’m an only child who is currently battling for control of the house with my sixteen-year-old tortoiseshell cat. I’d been reading, a lot, and as a result I had made a list of what I liked and what I would do if I was writing my own book. I’d had a go at a few before and they were rubbish (and in a different genre than contemporary romance) but I thought, maybe I should give this another go. I’d noticed a real glut of sports romances with cars or anything with a motor and I love bikes (I don’t ride because I’m too chicken but I would love to! ), and the guys who ride them are hot, so I thought this might be a good place to start and it snowballed from there. 3. How did you come up with the title of Breaking the Cycle? I didn’t name the book until I was about halfway through which is how I usually work. I have a hard time naming books and characters. But I was writing and it just kind of came to me, it was a phrase that kept coming up. I think it fits for two reasons. 1, is that Bria is breaking the cycle of bad luck the Ryans have and 2, is that it kind of belies the fact that Hunter wants to actually break the Ryans, their bikes and everything they love. Tough, loving, determined, family-orientated. As a bonus, that works for both Bria and Reed! 5. 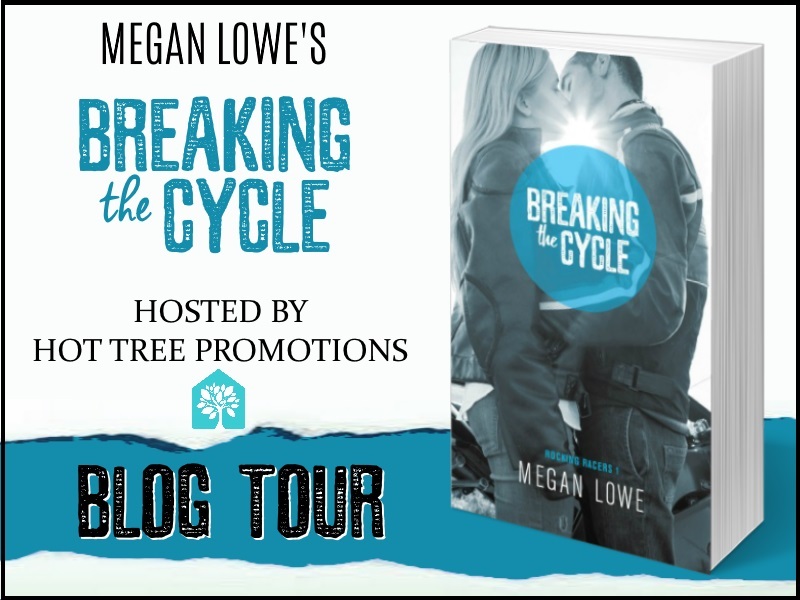 What was one of the most surprising things you learned in writing Breaking the Cycle? This came more in the editing stage after discussions with my editor and publisher, and that was that Australian literature is much like Australia itself. The world has a very cliqued view of Australia and anything we produce, in terms of books or film, but Australia is far from what the world thinks we are. I realised that I myself shared that bias despite having read some contemporary Australian romance novels. I realised that my novel didn’t have to follow that cliqued path and that I can forge the way and help change the world’s view of us and our art. 6. Have you ever done anything strange or weird in the name of research? No, but I have spent a hell of a lot of money on it! I recently returned home after a five week European holiday where I made a side trip to Jerez de la Frontera, a town in the Andalusian region of Spain, to go to the MotoGP race staged there. It was an amazing experience and worth every penny, which it did cost a lot! I started Breaking the Cycle then stopped as I gave up my study after some family members moved in with us. I then went on a month holiday to China where I lugged my notebooks (I handwrite) around China and Hong Kong, before seriously sitting down and pumping it out. So, from start to finish BTC took me about six months all told, but if you took out the time I didn’t write, probably a month or two. My process is a bit drawn out because as I said, I handwrite which means after I finish I then have to type everything up. I would get someone to help me with this because I’m not the fastest typist but I edit as I type so that doesn’t work. Then when I edit I need have the words on a page in front of me and handwrite my edits. It’s also quite a nerve-wracking process because what happens if the house burns down? * touch wood * But, it’s how I work so what can you do, besides invest in a fire extinguisher? It’s book 2 in the Rocking Racers series, Cole and Knley’s book, titled, at the moment, Where you’d rather be. I’d started to come up with the plot for this one while I was still writing BTC and now I’m getting into it. Book 3 is going to be Mav’s book and at the moment he’s being quite vocal which is slightly inconvenient. His book is going to take place after Cole and Knley and I’m still not sure of everything that’s going to happen there, but I’m taking note of what he has to say which I’m liking quite a bit actually. 9. What is your work schedule like when you're writing? I work nights, as in a job that gives me a regular wage, which works out well for my writing. It does mean I keep weird hours though, but when dealing with America it’s all good! My day usually sees me write for about five hours, some times more, some times less, before looking after my family and then going to work. On more than one occasion my writing life takes over my other job and I find myself having to stop and write down what my characters are telling me, but don’t tell my managers that! Nothing specific other than handwriting. I have certain pens I like but I think everyone is like that. I also have a heap of empty notebooks, it’s kind of my obsession, but no, no rituals. I do have a lucky pooh bear that sits on my desk though. At the moment I’m reading Until June by Aurora Rose Reynolds but I’m dying for Cambria Hebert’s new book, #Swag. I absolutely adore the Hashtag and Gearshark series. I’m also hanging out for L.P. Maxa’s Play Softly in her Devil’s Share series. Dash and Lexi are some of my favourites and I love the way she writes her male leads. Just thank you! 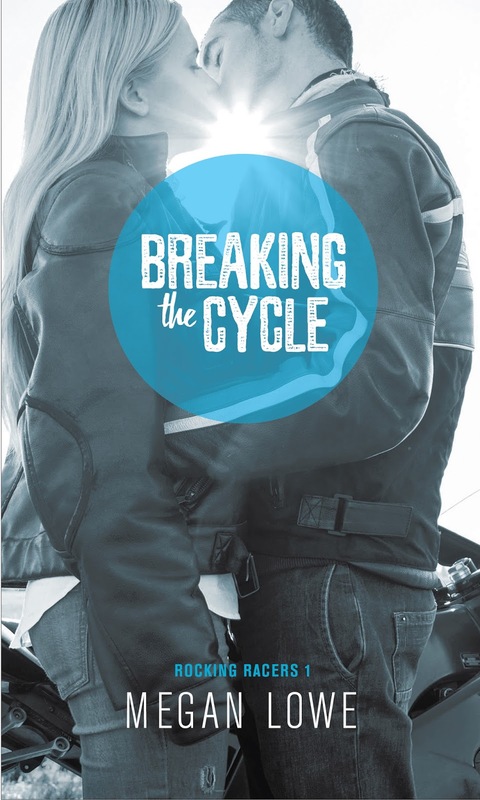 Thank you so much for reading Breaking the Cycle and hopefully, loving it! And if you did love it, would you consider leaving a review? The more reviews it gets the more Amazon will promote it, oh, and tell all your friends! Flavoured water, chocolate, left over dinner from the other night and bananas. Anything by my favourite bands, and there’s a lot, but every single time? I like it heavy by Halestorm. I would happily turn for Lzzy Hale! At the moment I’m forgetting everything I wanted to tell one of my friends at work, which I happen to think is a talent! I can make a mean baked cheesecake but really, I’m not that talented! Haha, okay, bear with me. I started off in London before visiting family in Liverpool and Manchester before moving onto Lisbon, Jerez de la Frontera, Madrid, Barcelona, Pau, Nice, and Venice before going back to London. I want to go back to America next. my original care bear. It used to belong to my cousin before she gave it to me when I was about three or four, so it’s older than I am (which isn’t that old at all!). I’ve had it a long time, so yeah, I’d save him too! I’m really not that interesting and as we know I hate naming things so maybe they should focus less on me and more on themselves and write a book from their own imagination!